Inhumans is pushing towards its conclusion and that’s evident by the action-packed episode we got this week. But while the show manages to hit all of its emotional beats, it continues to give short shrift to elements of the story in favor of pushing the plot where it needs to go. For instance, Triton, who suffered an untimely death in the first episode, magically reappears in this episode because he and Black Bolt set up a meeting place and time before the coup. Question: if Black Bolt predicted a coup, why was everyone caught off-guard? The show intimates that Black Bolt was keeping secrets from everyone, although that feels like a convenient plot. What it does bring up are Medusa’s feelings about being sidelined as she, rightfully, asserts herself as Black Bolt’s queen and not merely his interpreter. This falls right in line with her characterization from the comics. Medusa often leads Attilan without Black Bolt and here she presses him to consider his brother’s point of view, if for no other reason than other citizens share his convictions about how their society is structured. If the Royal Family hopes to lead through benevolence rather than brute force, they will have to think about how to reconcile with those who truly believe in Maximus’ rhetoric. In that vein, Auran is struggling with her belief in Maximus. Now that she knows that Maximus is really seeking to become Inhuman, she realizes he is motivated by selfish reasons. The revolution she bought into is a sham and combined with the revelation that her mortality may be looming, she joins Karnak in his attempts to revive Gorgon using a second Terrigenesis. Adding Auran’s healing factor to the process, Karnak hopes to bring Gorgon back to life. And by the end of the episode, it looks like he’s succeeded, although bringing someone back from the dead never quite works out as intended. The rest of the episode is focused on Maximus and Black Bolt finally facing off. Black Bolt calls a parley and Maximus sees it as confirmation that they are too exhausted to continue the fight when, in actuality, Black Bolt has a secret bunker with supplies and is rallying a resistance (we’re going to conveniently ignore that he knew this and never related this information). Once Black Bolt attacks and Triton backs Maximus into a corner, Maximus reveals that if he dies, Attilan falls with him and effectively setting us up for next week. While Maximus is clearly evil, he’s a compelling villain and Black Bolt will have to reconcile his brother’s actions with the societal structure that created his animosity. As a series, Inhumans is frustrating because it has the bones of a great show and so much could have been improved with more planning and some small tweaks. 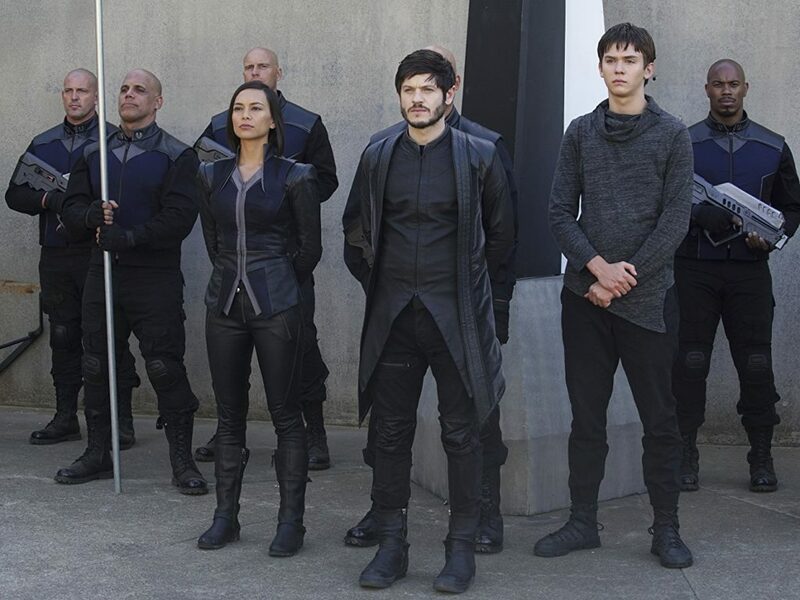 The show has gotten to a place where the relationships presented are rich, but there’s no more time to explore that richness and with just one episode left and dismal ratings, it’s unlikely that we’ll see Inhumans back on our screens in the future.